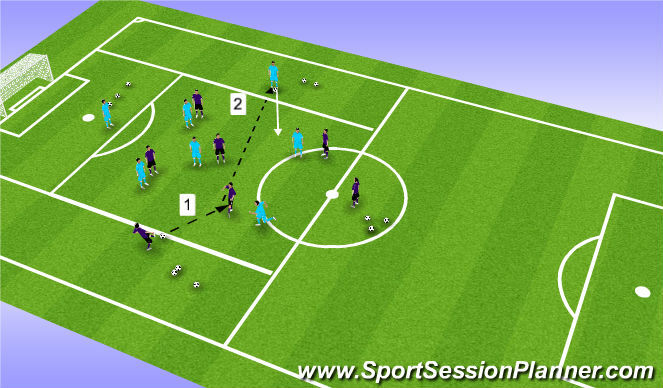 4v4,5v5 depending on numbers, 4 target players around the outside play for both teams and can recive the ball anytime. 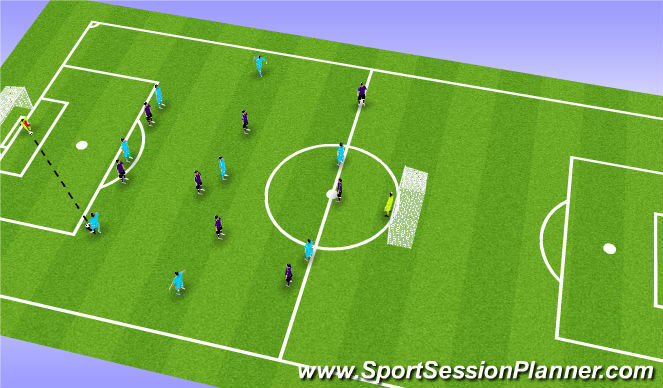 2. once overload is in place look to play to oppisite target man for one point. 3. if other target player gets the ball (for 1 point) 5v5 is resumed and they must try to play other way now if north to south executed play east to west. red strikers are restricted into final 3rd zone. 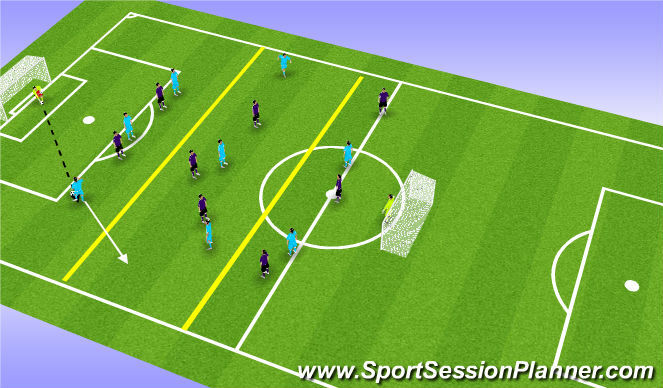 blue strikers allowed to follow reds into middle zone. red strikers are allowed to drop in and create overload that way.